If it’s time to add a new fence or replace an existing one we can help. Let us team you up with a local fence installation pro that can enhance the beauty, privacy, and security of your property. Tap into our wide network of fence installers to find the pro that’s right for your fence project. Get FREE estimates and compare quotes to find the right contractor for your project. It’s easy, simply enter your zip code above to get started. As you’re looking for the right fence installer for your project there are a few things to think about to be better prepared to get an estimate. As you get started it’s a good idea to be prepared with an idea of what style of fence you’d like to install. There are several styles available and each offer some key benefits depending on your needs. Whether you’re looking for a fence to offer privacy, security, aesthetics, or just to keep the dog in the yard there’s a style for you. A fence contractor can also make recommendations on the best style for your project. When planning for a fence there are several material options available. Wood, vinyl, aluminum, and iron are all great options. Use our fence calculator to plan a wood privacy or picket fence and use our vinyl fence calculator to plan out a vinyl fence project. Before you get estimates it’s good to have an idea of how much a new fence costs. Learn more about the costs of wood, vinyl, aluminum, or iron privacy and picket fences. 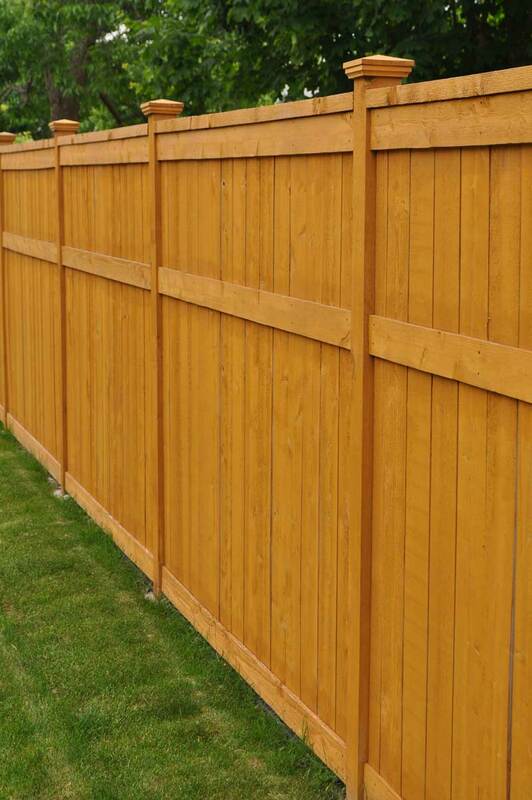 If you’re planning a wood fence installation it will be important to consider the cost of painting and staining it as that is often not included in the installation cost.